Choose your colour and message from our selection below. A Lasting Gift With a Difference. Everyone will love these, not just someone with a dolls' house. 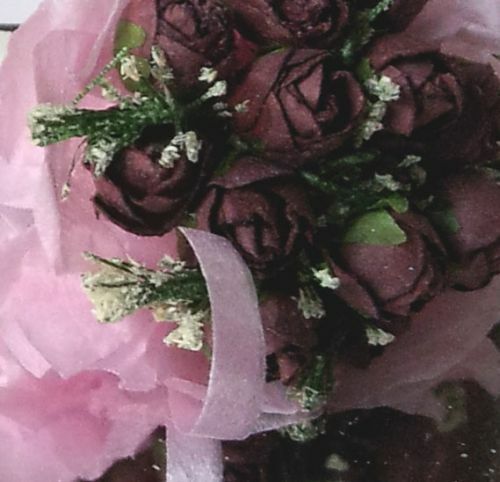 Each bouquet comes in a transparent box measuring just 60mm X 60mm, with a tiny gift tag with your message chosen from our selection. 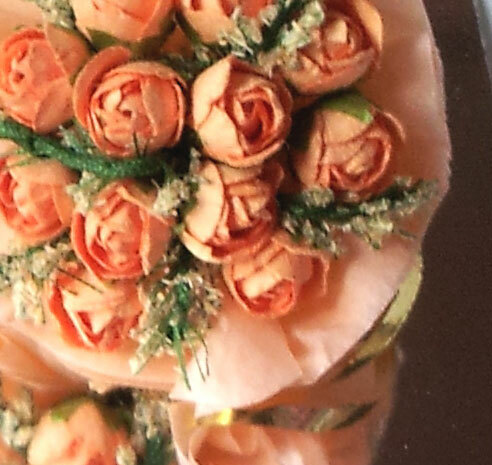 Each of these bouquets measure approx 40mm in diameter. As they are put together by hand the design may differ slightly from the ones shown. Flower colours will remain the same.